Description: modified truck hud. for teamgames your teamscore is always on the left (colors will update accordingly). 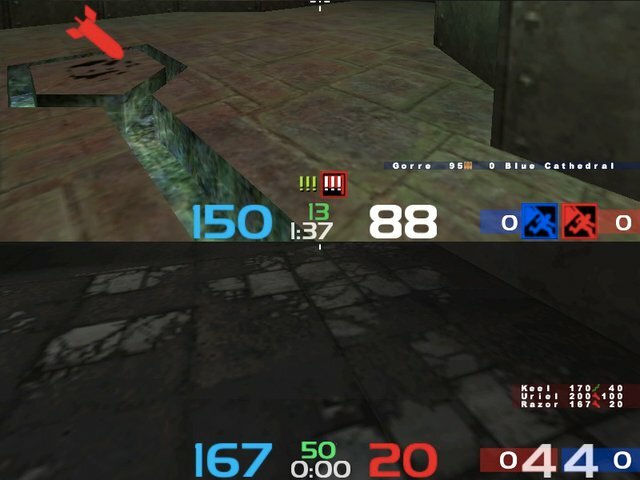 screenshot shows ctf hud on top and ca hud below. there are extra flag indicators right above the ammo display: one !!! for team (left), one !!! for nmy flag. if you have the flag a small flag is drawn below nmy !! !.